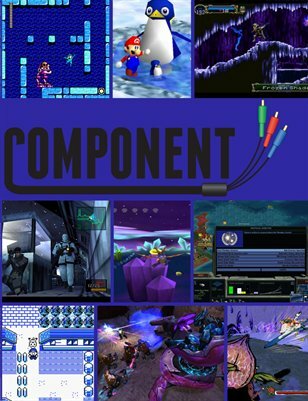 Issue One of Component is filled with articles and artwork about the contributors' most cherished video games. There are recollections of first encounters, tales of life transitions, and joyful stories about the experience of play. Games highlighted in articles and artwork include Mega Man 2, Super Mario 64, Castlevania: Symphony of the Night, Metal Gear: Solid, Spyro the Dragon, Sid Meier's Alpha Centauri, Pokémon: Yellow Version, Halo: Combat Evolved, and Okami.